CIWEM is the leading royal chartered professional body dedicated to sustainable management of the environment, globally. CIWEM represents and supports a community of thousands of members and organisations in over 89 countries who are dedicated to improving water and environmental management for the benefit of the public. Our aim is to work towards a safer, more sustainable world. Our mission is to build a global community of water and environmental professionals dedicated to working for the public benefit. Our culture and organisational strategy is founded upon two principles: that we are relevant and accessible to all. This drives our passion to create an environment that is safe and encouraging for all people to express themselves and participate fully and to add the richness that a diversity of perspectives bring. Highly qualified water and environmental managers, engineers and scientists who are recognised globally for their professional expertise and conduct. Protection of the public from pollution, environmental destruction and natural hazards through the promotion and share of best practice. Application and scientific rigour and impartiality to plans and policies ensuring the best outcomes for society now and in the future. We are an exciting organisation to be a part of, facing a world full of immense challenges and opportunities. CIWEM has a history of working in environmental management dating back to 1895, the date when one of the three founder professional bodies, the Institution of Public Health Engineers was formed. In the succeeding decades, engineers, scientists and other professionals came together to combine their expertise across a broad range of environmental disciplines. The present day Institution was formed in 1987, when the Institution of Public Health Engineers merged with the Institution of Water Engineers and Scientists and the Institute of Water Pollution Control to form the Institution of Water and Environmental Management. CIWEM was granted its Royal Charter in 1995 and we were proud to celebrate our first centenary in the same year. A strategic document setting out a high level of direction and priorities for the organisation over five years. Our members are at the heart of our strategic aims and sets out key priorities for members and their professional development.  We have an ISO14001:2015 certified Environmental Management System which applies to our core activities such as operation of our office, publishing and events. We work to reduce the environmental impacts of these activities year on year. Read our latest environmental performance report here. CIWEM has a history of working in environmental management dating back to 1895. Since then, our members have been the leading practitioners in improving the quality and management of water and the environment. Learn more about our Trustee Board.